I am off to Bath to the Christmas market and actually staying the night and meeting friends for dinner. This is my pre Birthday treat. I really adore Christmas, I wonder without it and all its pretty lights and candles and brightening our homes with trees how our Winter months would be, When Summer is over it is something sparkly to look forward to. So think of me sipping mulled wine and wandering from Christmas stall to Christmas stall with a big smile on my face. 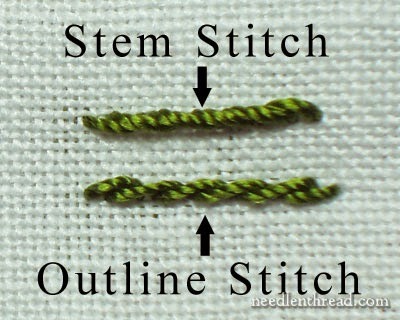 Have a happy weekend and as always Happy Stitching! This shows you the difference in look and texture. This is very interesting, You’re a very skilled blogger. I have joined your feed and look forward to seeking more of your fantastic post. Also, I have shared your site in my social networks! Thanks.